Disclaimer: The publication of any and all content e.g., articles, reports, editorials, commentary, opinions, as well as graphics and or images on this web-site does not constitute sanction or acquiescence of said content; it is solely for informational purposes. 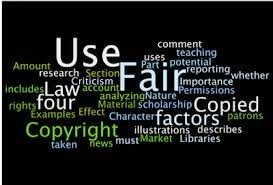 Fair Use Notice - This site www.sheildspirit.com may contain copyrighted material the use of which may not be specifically authorized by the copyright owner. We are making such material available in our efforts to advance understanding of environmental, political, human rights, economic, democratic, scientific, social justice, and religious issues, etc. We believe this constitutes a 'fair use' of any such copyrighted material as provided for in section 107 of the US Copyright Law. In accordance with Title 17 U.S.C. Section 107, the material on this site is distributed without profit to those who have expressed a prior interest in receiving the included information for research and educational purposes.